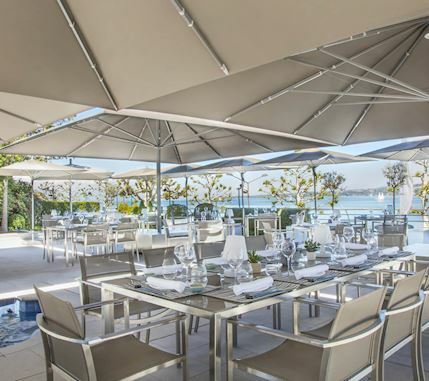 Located on the first floor terrace of Hotel President Wilson Geneva, the ephemeral Umami restaurant is a must in Geneva during Summer time. 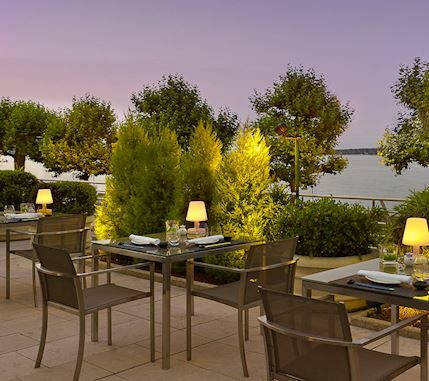 It welcomes you in an amazing setting overlooking the lake with the original Japanese fusion cuisine of the Michelin starred Chef Michel Roth. "Umai" means « delicious », and mi « taste » in Japanese. The Umami is recognized as the fith savour after saltiness, sweetness, bitterness and sourness. With a breathtaking view of Lake Geneva and the Alps, the 600m2 Poolgarden terrace is an oasis in the heart of Geneva. 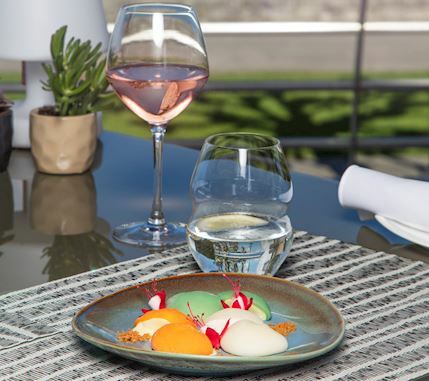 With its "outdoor" setting by the pool, this exclusive place invites you for a culinary journey and a change of scenery for a lunch or a long summer evening, in a relaxed atmosphere. 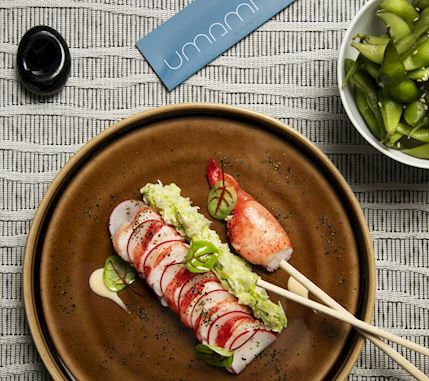 An ideal setting to accommodate the summer and original cuisine of the Umami. Inspired by his many trips to the Land of the Rising Sun, the chef offers Japanese fusion cuisine with French influences in a spirit of sharing and conviviality. 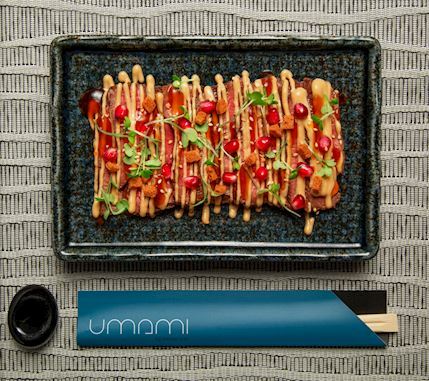 The cuisine of Umami is above all a cuisine of sharing and discovery. The menu offer a selection of small portions (starters, fish, meat and accompaniments) to share and combine according to one's tastes and desires.Enjoy the chef's specialties known as "nigiri crispy", served warm with a topping changing according to the inspirations of the chef that became a real tradition of the restaurant. 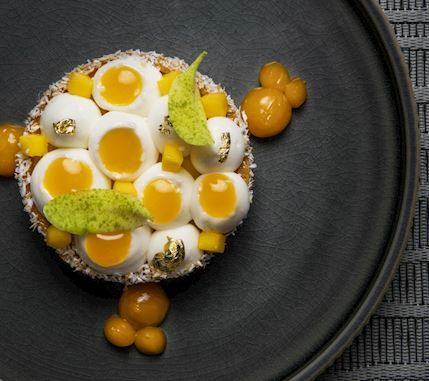 You will also find some other Signature dishes such as fried foie gras makis with green apple, or the delicious yuzu meringue tart. Should you plan a business lunch or have only a short time to eat at noon, escapde from the stress of the city to enjoy an exotic break in the unique setting of Umami overlooking the lake thanks to our "Hayaku" (quick in Japanese) set-menu. The restaurant menu can also be ordered at the Pool bar during lunch and dinner time.